Today's blog love goes to the uber cool Hippe Mama's. 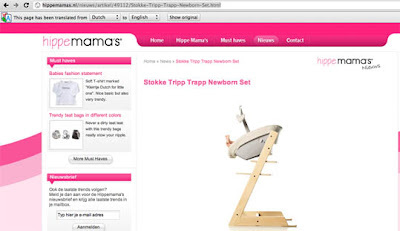 This Dutch blog features some of the coolest baby gear on the market... and of course you'll find some Stokke® mentions there too. Don't speak Dutch? Visit the site using Google Chrome and take advantage of the browsers inbuilt translation feature.